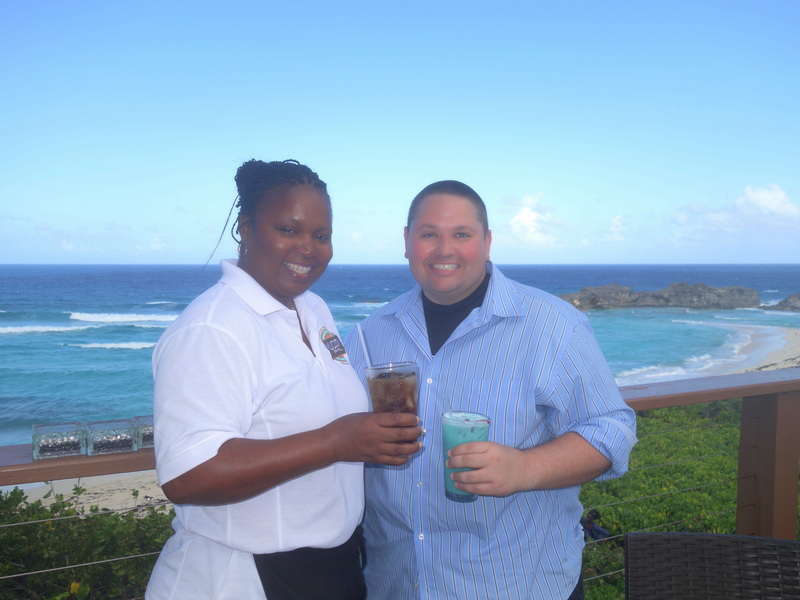 A few months ago Johnny and I had the good fortune of being selected as winners of a contest run by Turks & Caicos Vacation Planning. 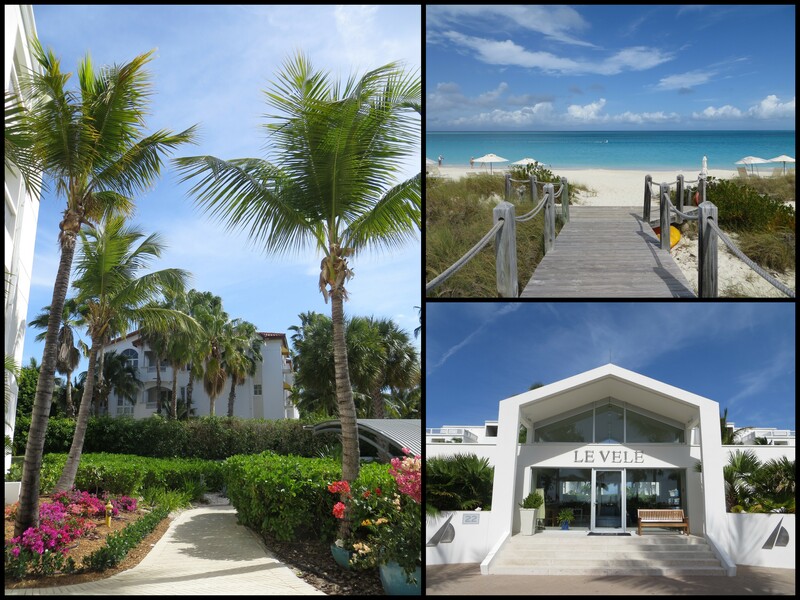 We received a 7-night stay at the Le Vele Resort on Grace Bay Beach in Providenciales (Provo). We couldn’t be more excited to leave behind Atlanta’s frigid weather and exchange it with the warm breeze of the Caribbean. This was actually our second time in Provo, as we visited for the first time in October 2012 to celebrate our fourth wedding anniversary. During our week-long stay in 2012, the weather did not cooperate due to hurricane Sandy making her way through the Caribbean. On the contrary, on our most recent trip there was not a single rainy day (although it did get windy some of the time and the water was quite rough). Our days consisted of island-hopping, lounging around on various beaches, snorkeling, and eating as much fresh seafood as our stomachs could handle. 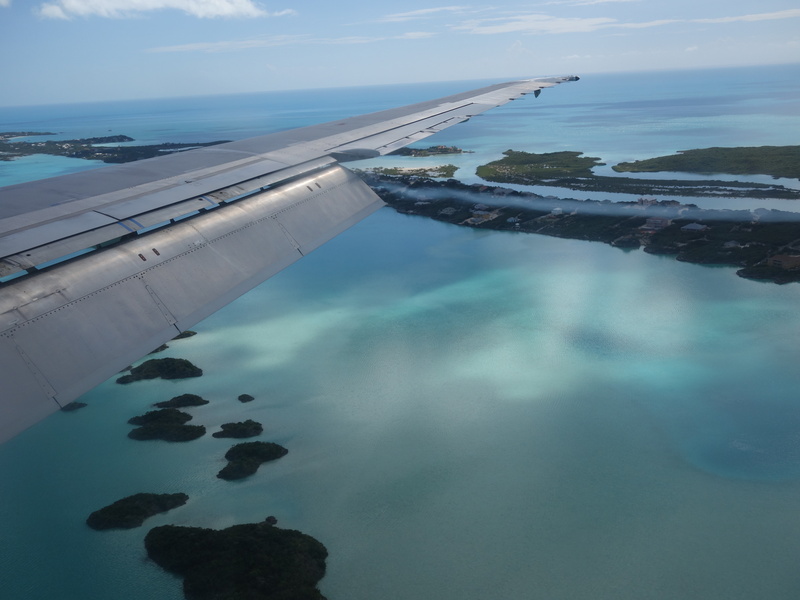 The excitement began when we flew over Chalk Sound. We arrived on a Thursday, and we were in and out of the airport in a matter of minutes. Once again, we rented a car from Grace Bay Car Rentals, and it was already waiting in the parking lot. They now have a small office on top of the hill and we did not have to pay any parking fee upon exiting the lot. 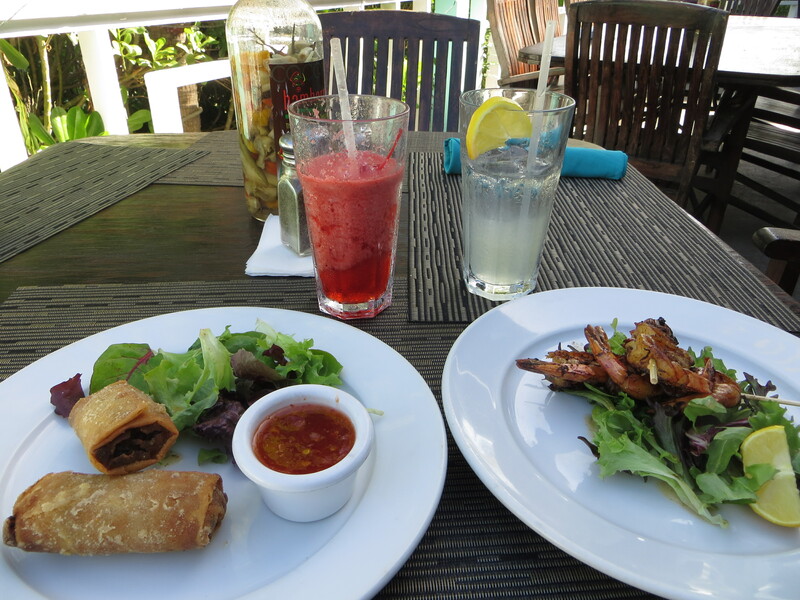 We headed straight to Mango Reef at the Alexandra Resort for some much needed lunch. When we left Atlanta that morning the temperature was 11F, but now we found ourselves basking in the sun while sipping Pina Coladas. 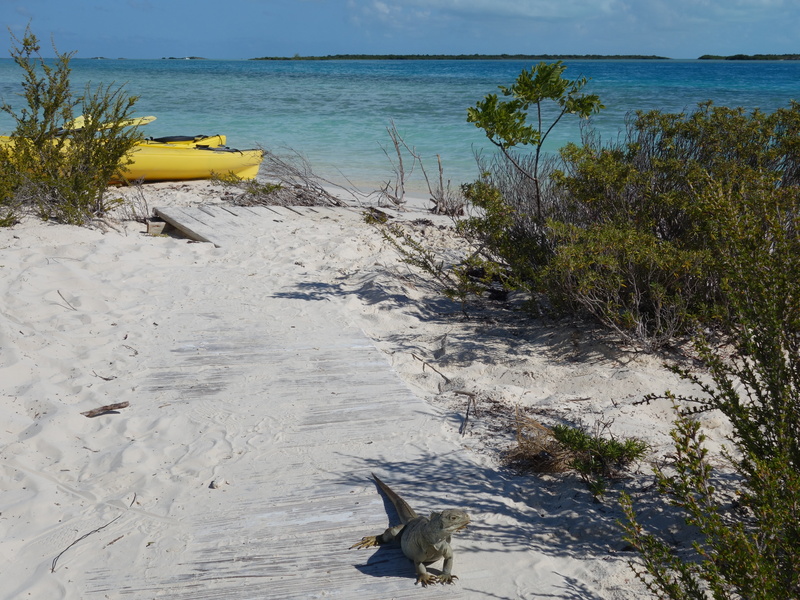 We started our first full day in Turks and Caicos with a one-hour excursion to Little Water Cay (locally known as Iguana Island). We booked our tour the day before with Caribbean Cruisin’. The total price for 2 people was $130.80, and it included all taxes and admission fee to the nature reserve. Once we got to the island, the first 20 minutes were spent following and listening to a park ranger, and the last 40 minutes we were free to roam around the island on our own. 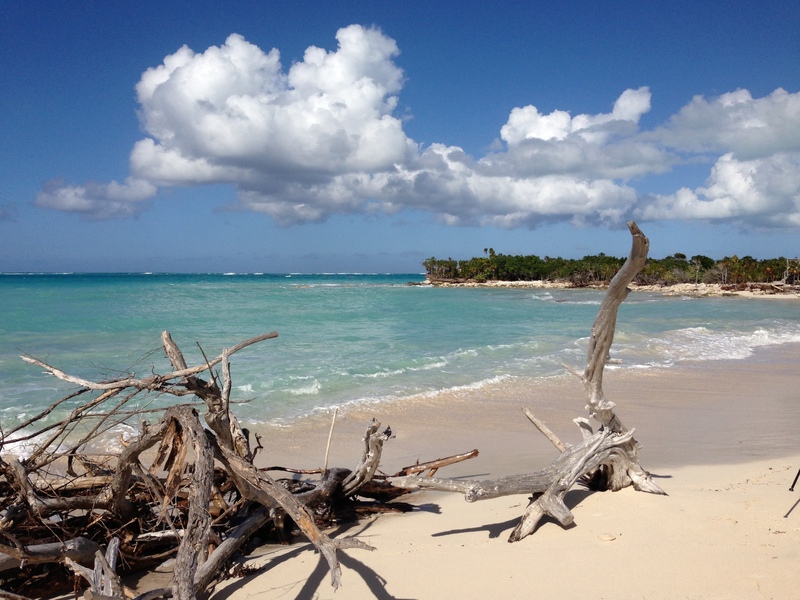 We walked all the way to the north side of the cay, and were rewarded with beautiful views of the Atlantic Ocean and a beach that’s dotted with driftwood. Feeling thirsty and a bit hot after our short adventure on Iguana Island, we decided to get a fresh smoothie from Lemon2Go. 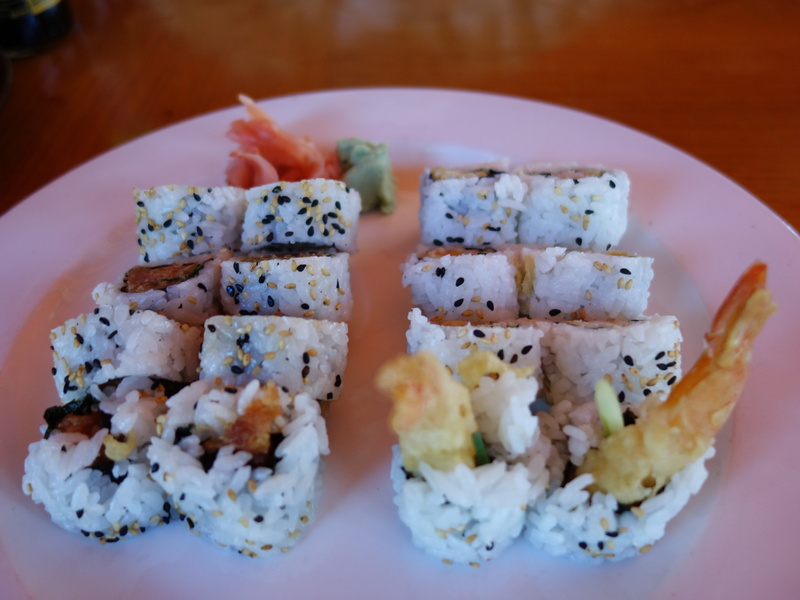 Afterwards, we walked across the street to Salt Mills Plaza to enjoy some rolls at Yoshi’s Sushi Bar. 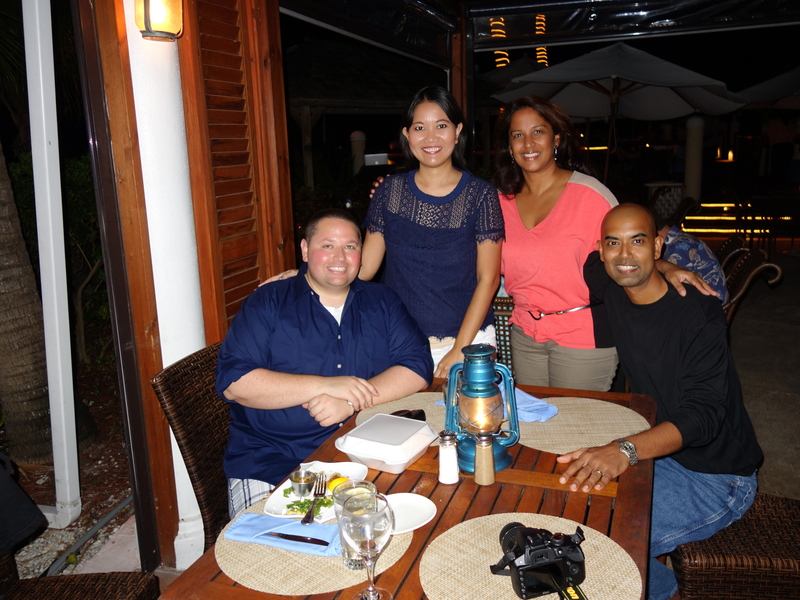 Later on that evening, we met up with Val and Susan Kalliecharan of Turks & Caicos Vacation Planning at Hemingway’s Restaurant. It was a pleasure meeting them in person, as they are such gracious and generous people. We talked about their children’s upbringing in the small island nation and how they got their business started. We also learned that Val and I have a common interest in music. I am a pianist, while Val regularly plays the steel drums at local venues. Staying on the south side of the island, we decided to satisfy our curiosity and try out the much talked-about Bugaloo’s Conch Crawl. 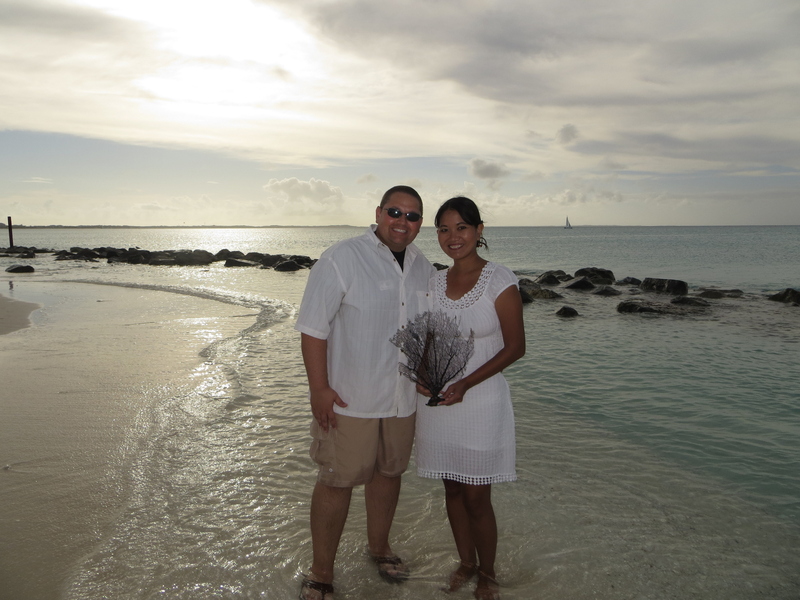 We also had never been to the Five Cays Settlement, so this gave us a good excuse to explore more of Provo. 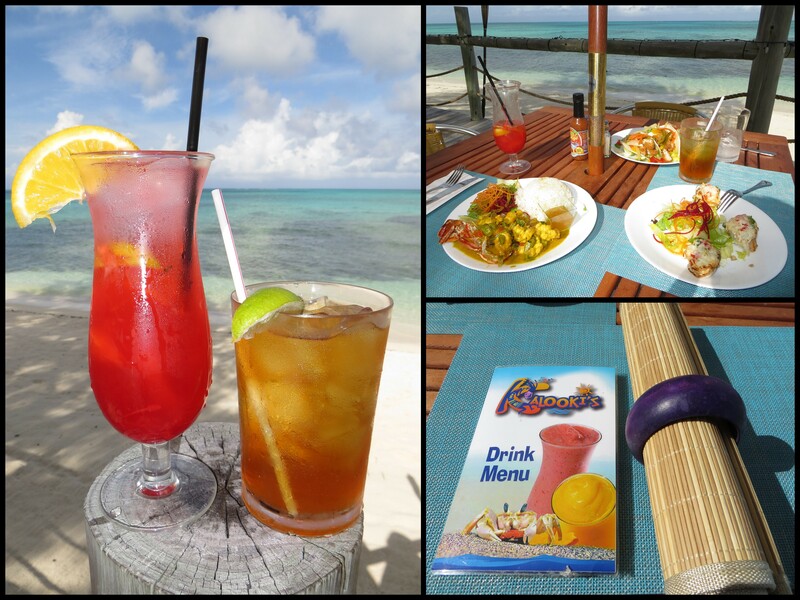 Bugaloo’s definitely had a nice vibe, and we really liked their Coconut Cracked Conch. I ordered a lobster dish, which they later told me they were out of, so I ended up with a plate of fried shrimp. To put our hotel suite’s gourmet kitchen and outdoor grill to good use, Johnny volunteered to cook dinner of surf and turf for two. 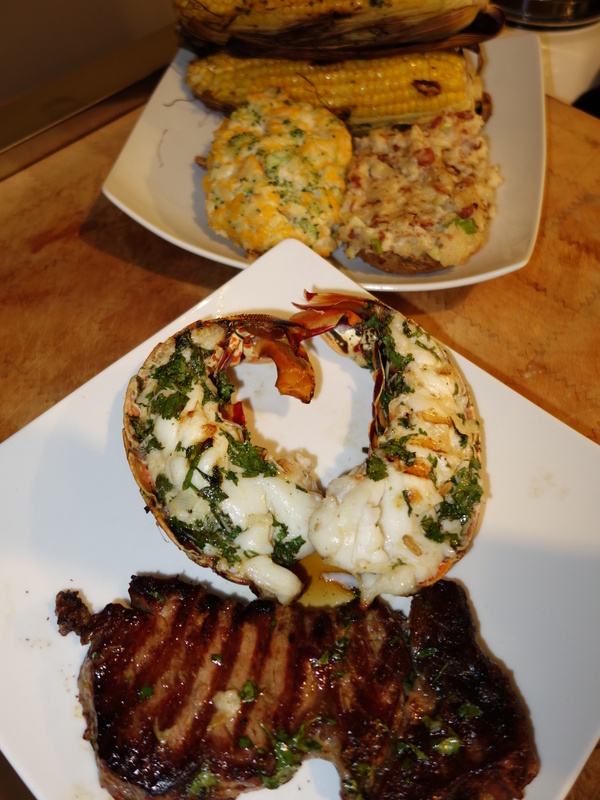 We purchased lobster and steak from Graceway Gourmet, then marinated them with cilantro lime butter. It was well worth the effort, as it was one of the most delicious meals I had while on vacation (hope Johnny reads this and will continue to cook for me). Dinner prepared by “Chef” Johnny. The baked potatoes were made by Graceway Gourmet. It was an easy and lazy Sunday as we drove to Blue Hills to enjoy some beach time and take a few pictures at the pier. Somehow I also ended up swinging at the playground right next to the pier. I read that there’s a newly opened restaurant in Blue Hills called Kalooki’s, located where Horse-Eye Jack’s used to be. 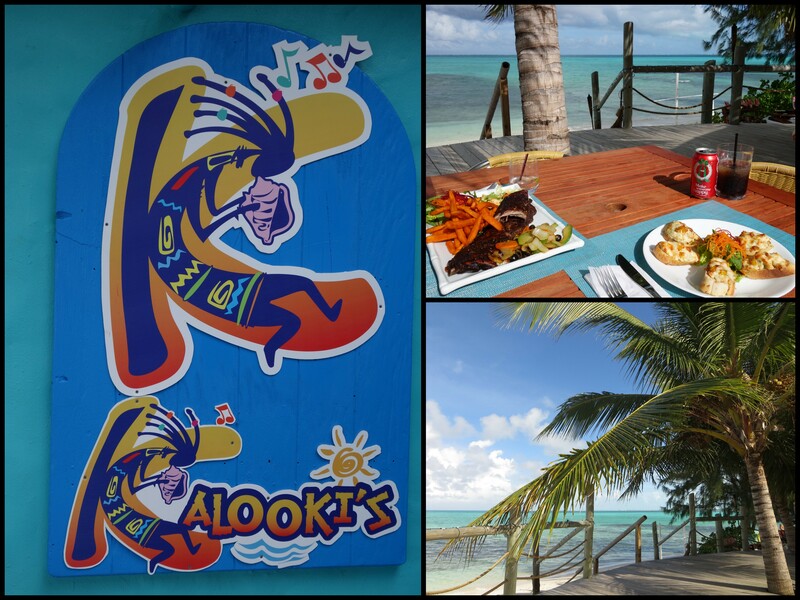 We love authentic Caribbean food, so we chose this local eatery as our lunch spot for the day. 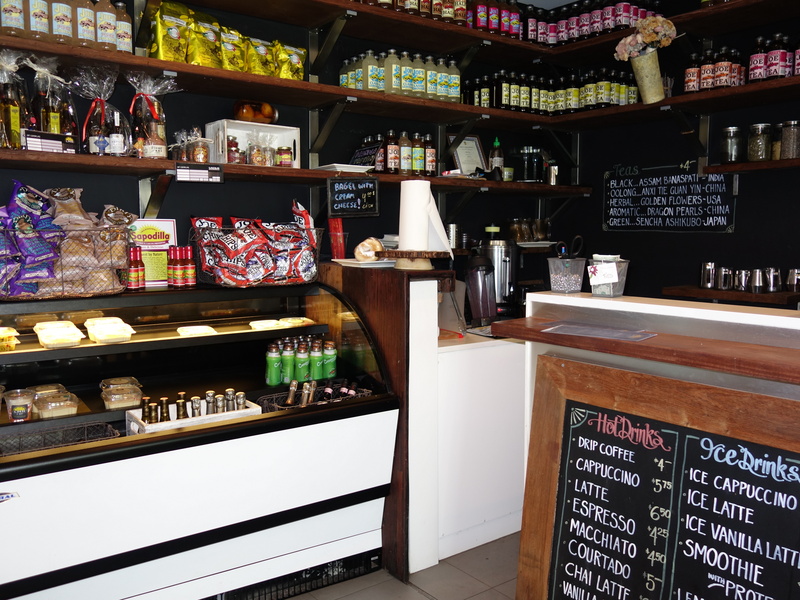 Fortunately it turned out to be a great pick because we absolutely loved their dishes, and felt so welcome by the warmth and hospitality of their staff members. Johnny’s BBQ ribs had a distinctive tamarind flavor, and I became a fan of the Lobster Bruschetta and Steamed Fish. Too bad I already devoured half the fish before I realized I had not taken a picture of it. For dessert, we took home a slice of bread pudding with a scoop of ice cream. 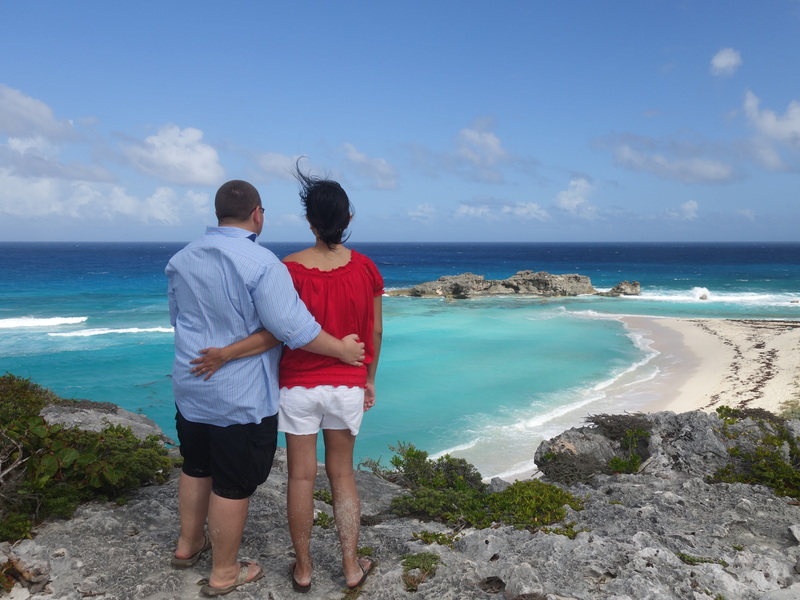 Finally, we got the chance to take a ferry ride to North Caicos and had an awesome time getting to know North and Middle Caicos. We hopped into a Land Rover that we got from Al’s Rent-a-Car ($75 for the day), and off we went venturing on these two islands. 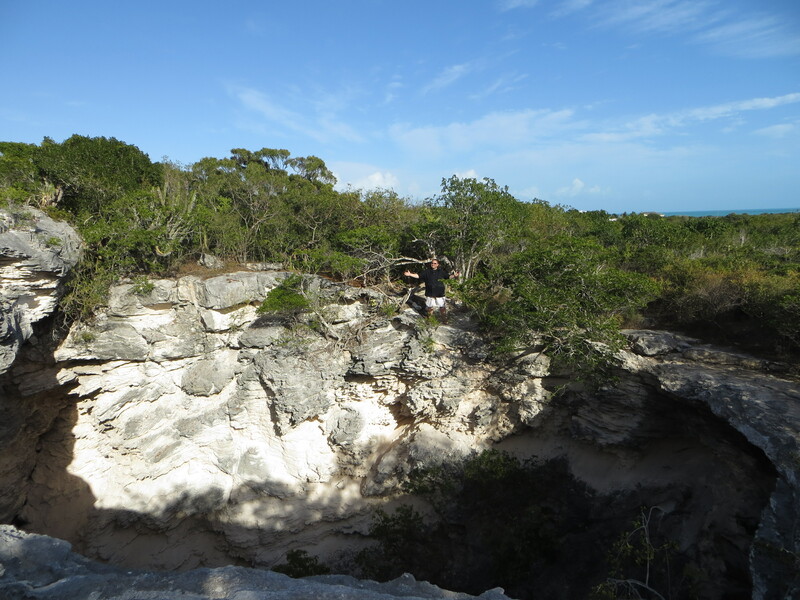 Our first stop was Mudjin Harbour on Middle Caicos. Dragon Cay looked amazing, but we couldn’t reach it with the high tide and crazy waves. Hiking Crossing Place Trail was fun (even more so in flip-flops), and one of the highlights was squeezing into a cave to reach the Secret Beach. We went “click happy” (a.k.a. took too many pictures), and soon realized that it was time for a break at Mudjin Bar & Grill. 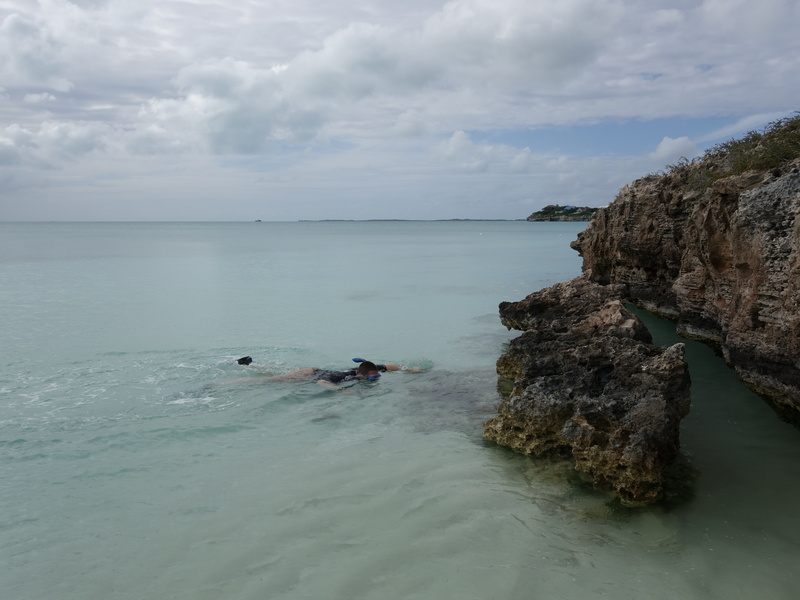 We headed back to North Caicos and spent the rest of the afternoon checking out a couple of sites such as the Flamingo Pond, Horsestable Beach, and Pumpkin Bluff Beach. 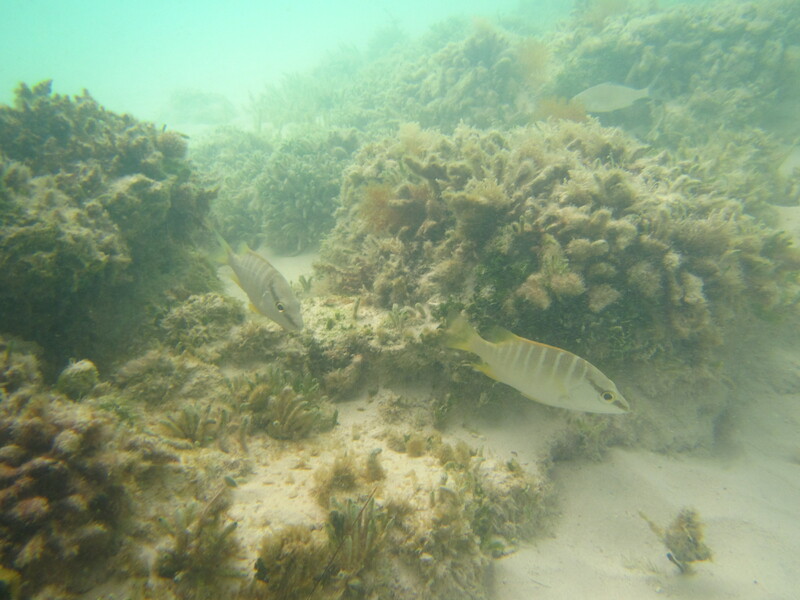 We accidentally found ourselves on Pumpkin Bluff Beach as we were (unsuccessfully) trying to locate Three Mary Cays. Johnny woke up early to get himself ready for an activity that he had really been looking forward to: SNUBA Turks & Caicos! SNUBA is a great opportunity to have a diving experience without being certified. Jodi, the owner and a very talented SNUBA guide, led our group of four to see the wonders under the pristine waters at the Bight Reef. The SNUBA dive took us 20 ft below the surface and lasted for approximately 40 minutes. The next destination on our itinerary was Cooper Jack Beach. Cooper Jack on south Provo is not a place that a lot of tourists come to visit. However, Johnny and I really enjoyed the change of scenery, being surrounded by green hills and rock outcrops. Another local dining establishment we would like to try was Mr. Grouper’s. I had been craving for lobster spring rolls for a while, and luckily they had that on their menu. We also ordered grilled shrimp on the skewer and grilled wahoo. After lunch, we planned on relaxing on Long Bay Beach. On the way there, we stopped by what I would consider to be Provo’s roadside attraction: The Hole. Well, what should I say about The Hole? We found it while driving along a neighborhood in the Long Bay Hills area. It’s a natural sinkhole that’s about 60 ft deep, and we could see water at the base. Johnny standing at the edge of The Hole. Way in the distance on the upper right hand corner you can see Long Bay Beach. While Johnny had previously been on Long Bay Beach with Provo Ponies, this was my first time going to this beach. 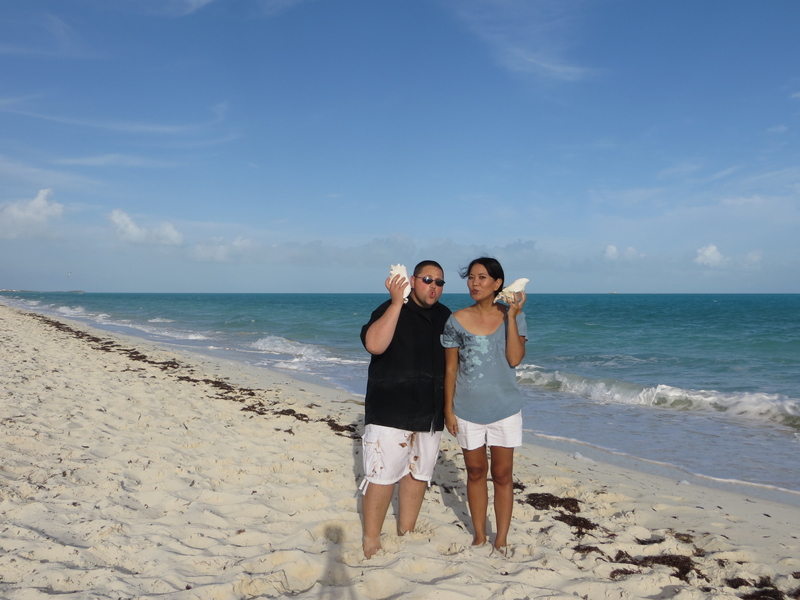 We did spot one kite surfer and had some fun with our (conch) shell phones. 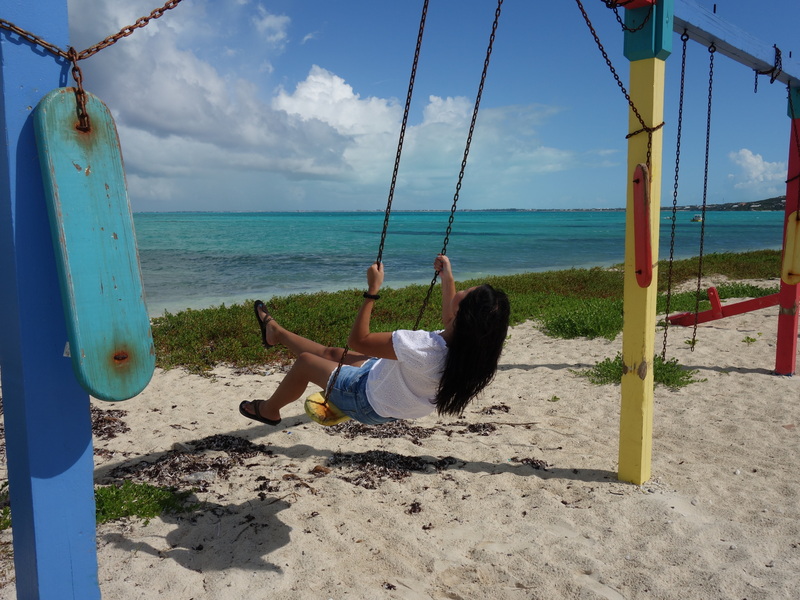 I started to get cranky upon realizing that it was our last day in Turks and Caicos. For the first time during the week we actually used our hotel’s beach chairs and umbrellas. We tried to soak up as much sunshine as we could on Grace Bay Beach. 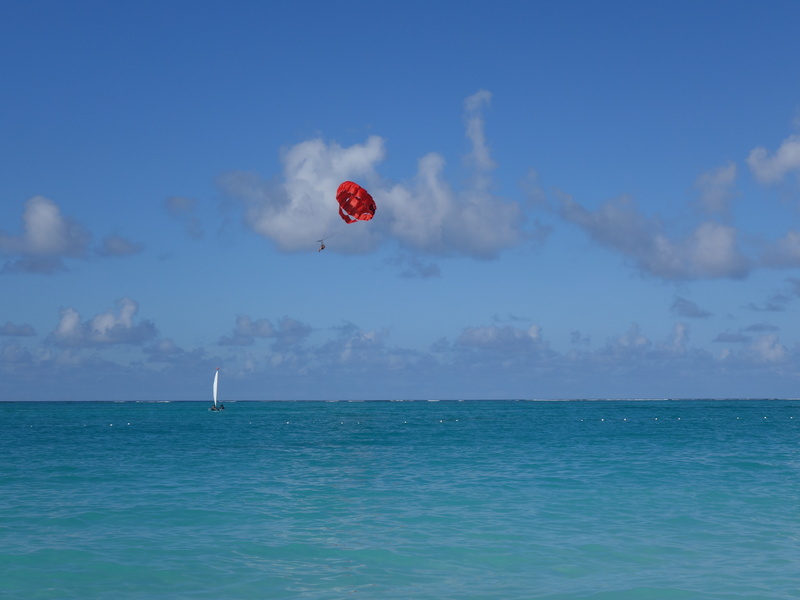 Check out our Flickr page to view pictures from our trips to Turks and Caicos. Whoa. Great photos and story. 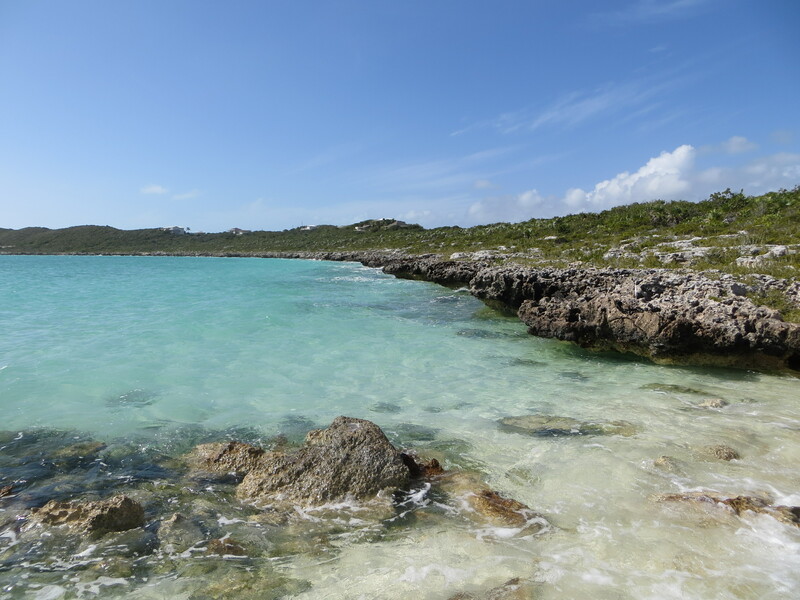 I especially enjoyed day 5 on your trip to North and Middle Caicos. Looks so beautiful. Thanks for the tip on Kalooki’s! Thanks, Joe! 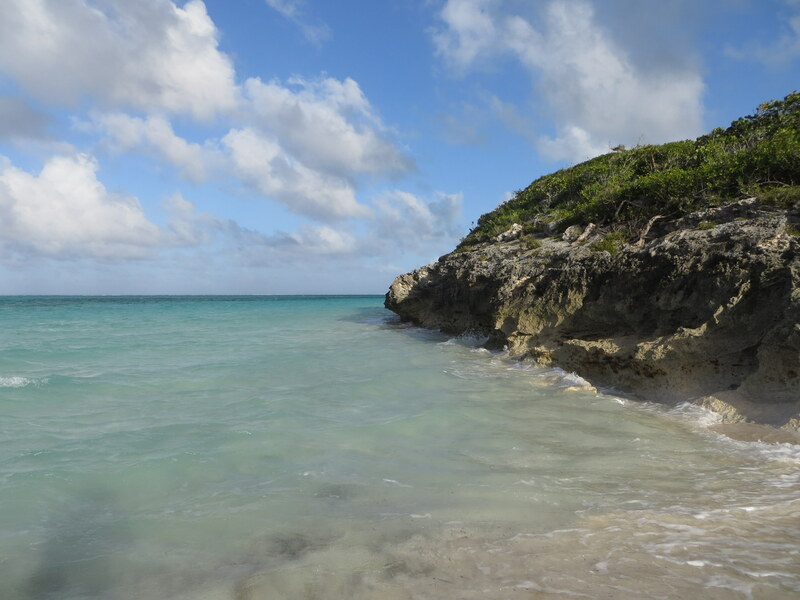 The Turks and Caicos Islands are naturally beautiful, so I think the pictures turned out well without much of an effort. I definitely recommend Kalooki’s for some good Caribbean food. 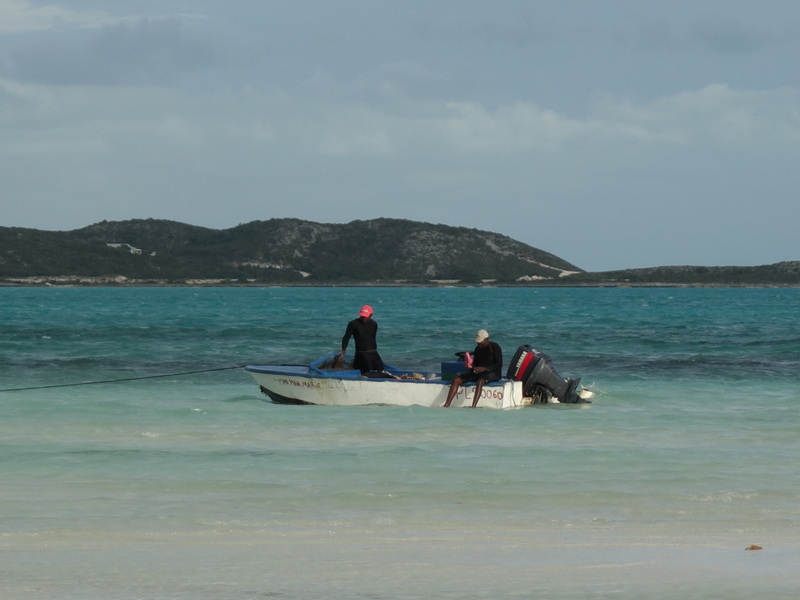 Not being able to see Three Mary Cays gives you a good excuse to go back to North Caicos. It’s truly breath taking. And Miss Dorothy is awesome. Beautiful photos. Thanks for sharing. Thanks, Carol! 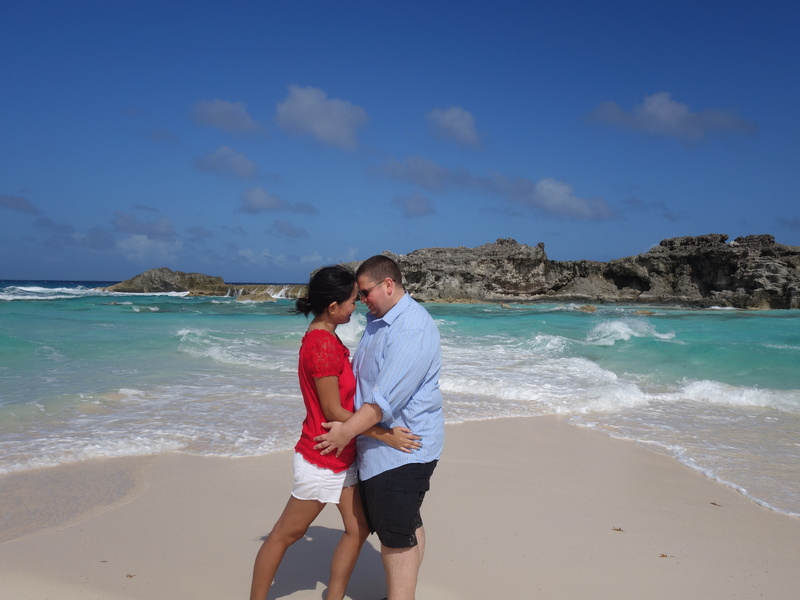 We’ll be back to North and Middle Caicos for sure! Thanks for stopping by, Elena! Yes, it was one of the most enjoyable and relaxing time we’ve ever had. Wow, I can’t believe how nice the view is from your hotel! Lucky you, winning a 7-night stay there. 🙂 The diving sounds amazing too. We absolutely felt so lucky to be able to stay in Turks and Caicos for a week. Lucky you! What is SNUBA like? In practical terms, does it feel any different than just diving? 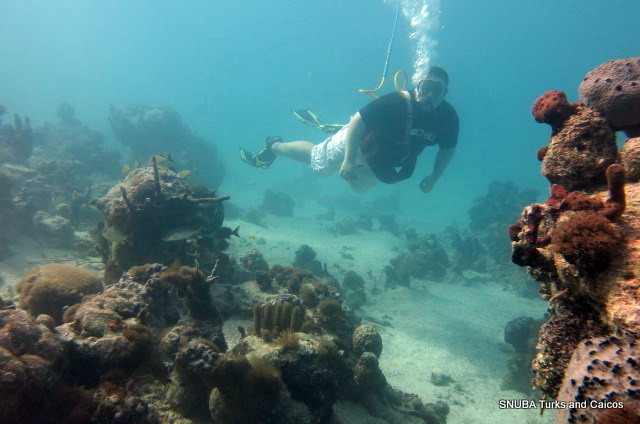 Snuba is an awesome experience if you have never been diving. I like to think of it as a “baby step” toward diving. 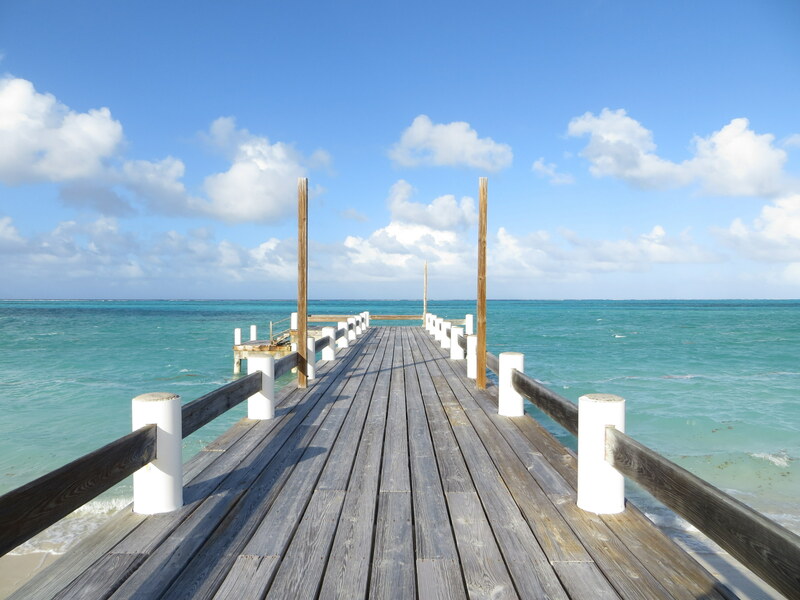 You only go down 20-ft, but the views in Providenciales are amazing! 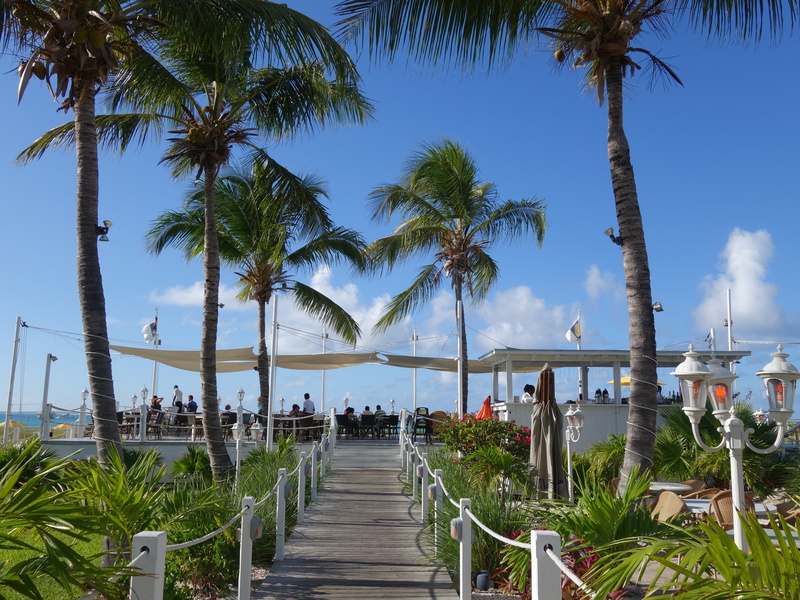 Both places are some of my favorite spots in Turks and Caicos. Incredible photos! It is currently -26 in Toronto, and this has inspired some serious wanderlust! I know the feeling! It felt so good to escape the winter weather, even for just one week. Amazing pics. 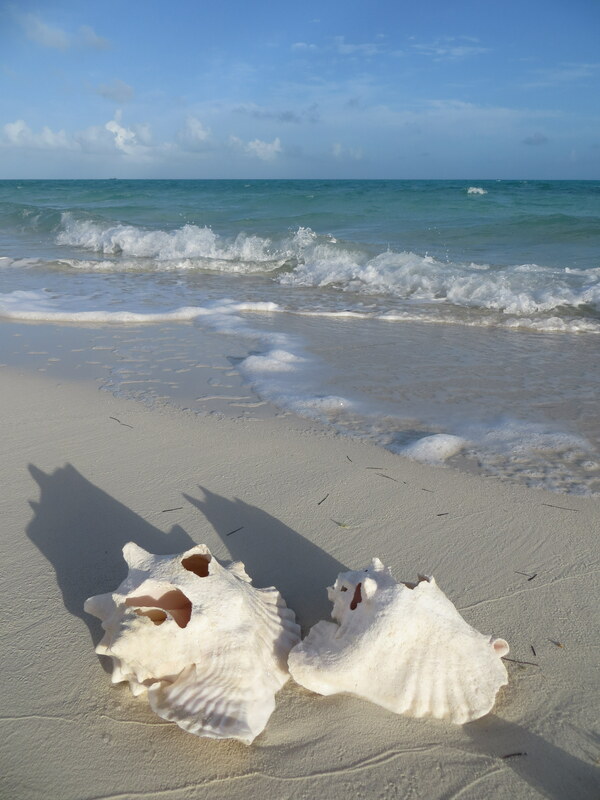 I’ve heard of the beauty of Turks and Caicos (never having been there), and you captured it! Thanks for stopping by! After two trips to Turks and Caicos I can definitely say that my husband and I are absolutely in love with this island nation. We had a wonderful week there, and hated to leave. Thank you! We always enjoyed our visits in Turks and Caicos. Hahaha… yes, Turks and Caicos has everything that I love in life. Wow – what an awesome competition to win. And it looks like you guys made the most of every single day. Love the pictures, hope we get to visit one day…. 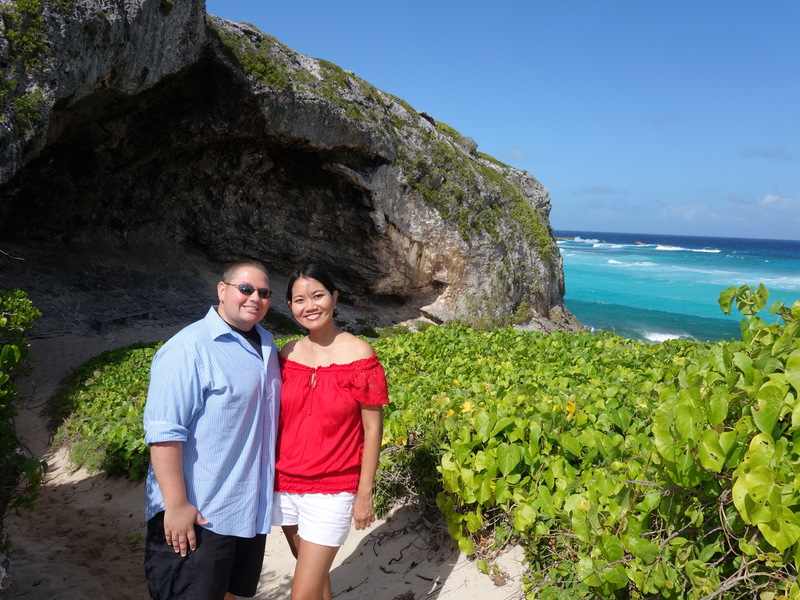 We always enjoyed exploring the islands, and would recommend Turks and Caicos to everyone. We once almost moved to the Turks and Caicos. I was all for it but D wasn’t so keen. Great fun to see your photos and take a trip down memory lane. Oh, we definitely know the feeling. 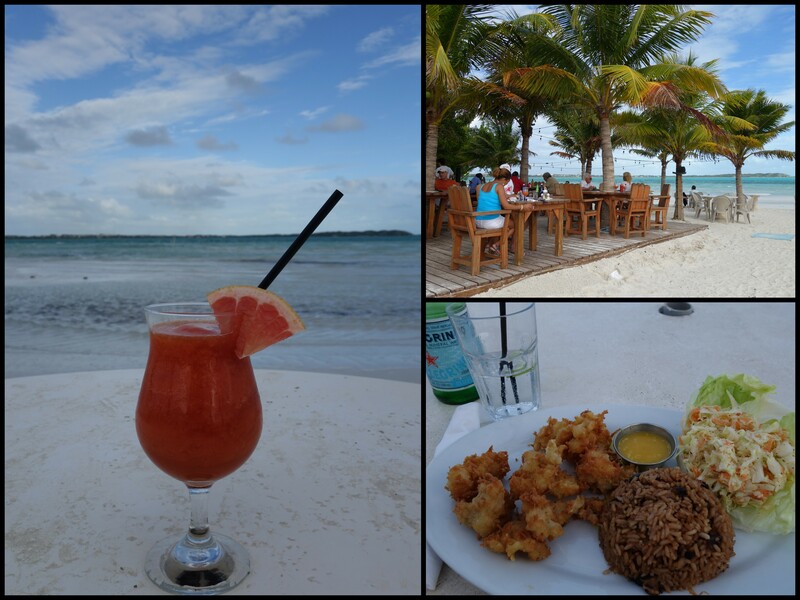 Every time we’re in Turks and Caicos we thought to ourselves: This is Paradise! How can we stay here longer? For the time being we just have to visit Turks and Caicos as often as we can. How lucky! I went to Provo last year and absolutely loved it, I can’t wait to go back! I’m jealous you got to see flamingos, they were nowhere to be found when I was there! I only saw one flamingo when I was in Provo two years ago. 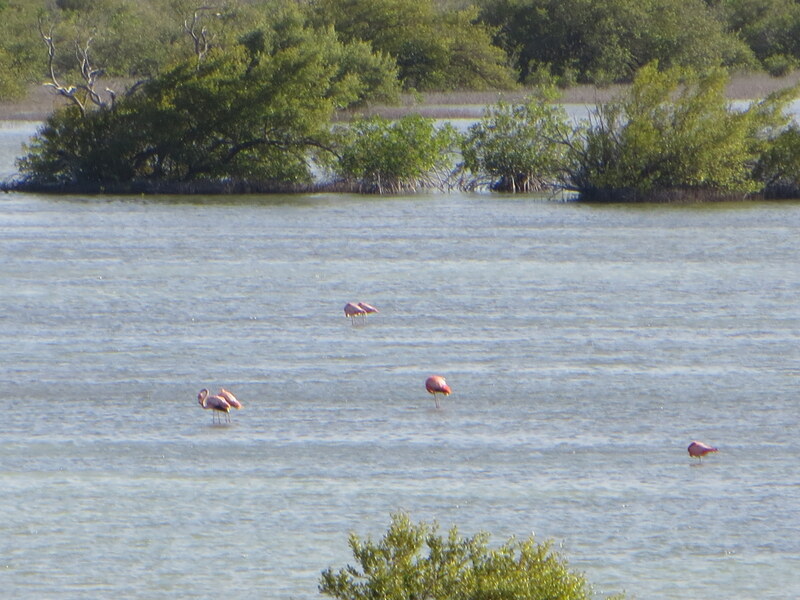 Most flamingos I spotted were on North Caicos. I hope you get to return to Turks and Caicos again, it’s definitely one of our favorite places. Paradise! 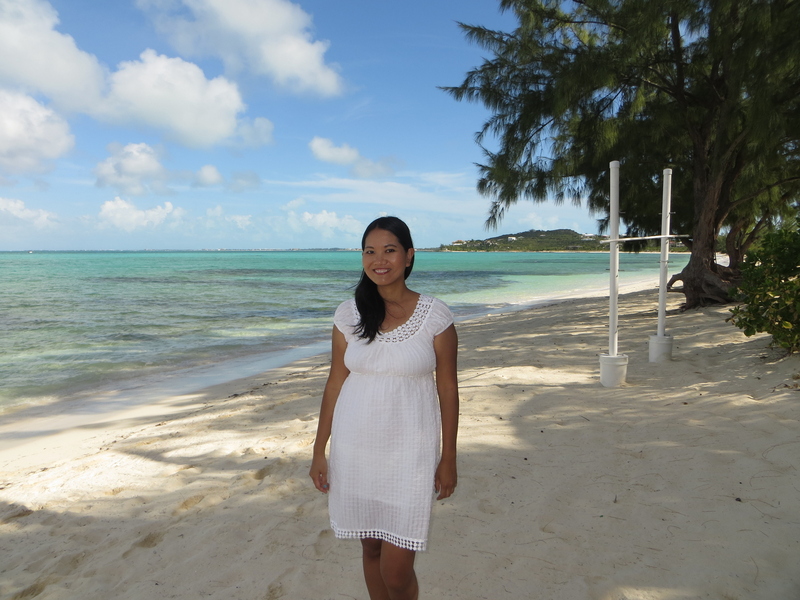 I have only been to Grand Cayman and am dying to explore more of the beautiful Caribbean. Looks like Turks and Caicos should be on top of my list! 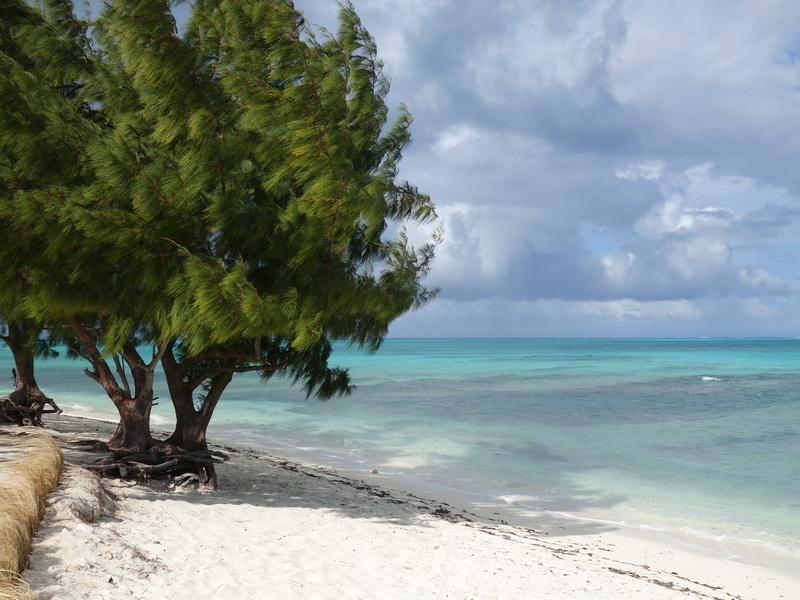 We would love to visit Grand Cayman too one day. 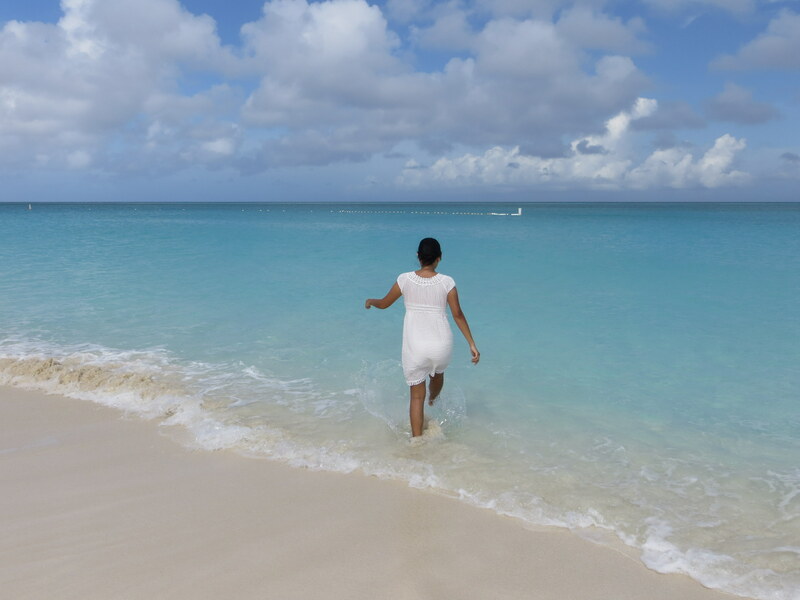 If you love beaches and the outdoors, I would put Turks and Caicos high on the list. Oh my! That looks like paradise. Great photos! Thank you! 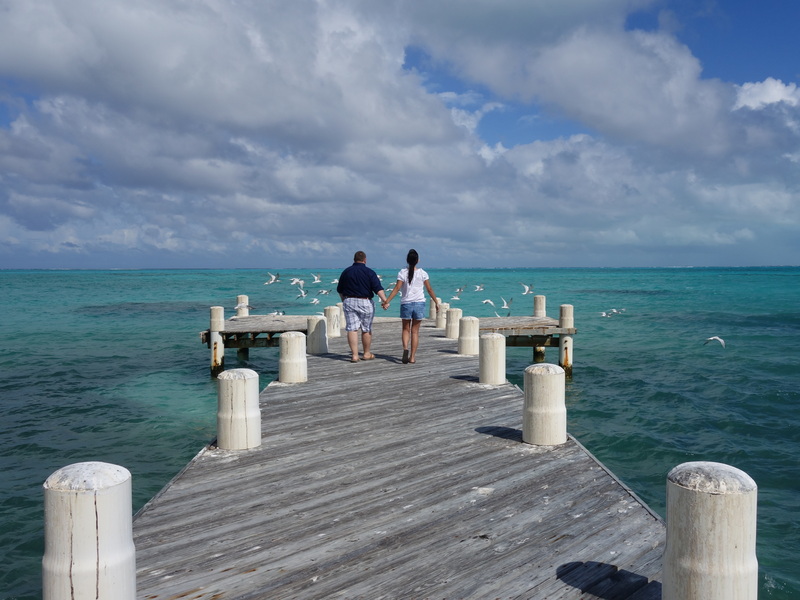 We always love visiting Turks and Caicos because of its beauty and friendly people. Beautiful. Just the colours of the sky and the water is enough of a prize! I couldn’t agree more. The colors of Turks and Caicos are just so captivating. Thanks for stopping by our blog! Wow, how lucky were you guys to win such an amzing adventure. That water! It’s so mesmerising. Thanks for joining Sunday Traveler. 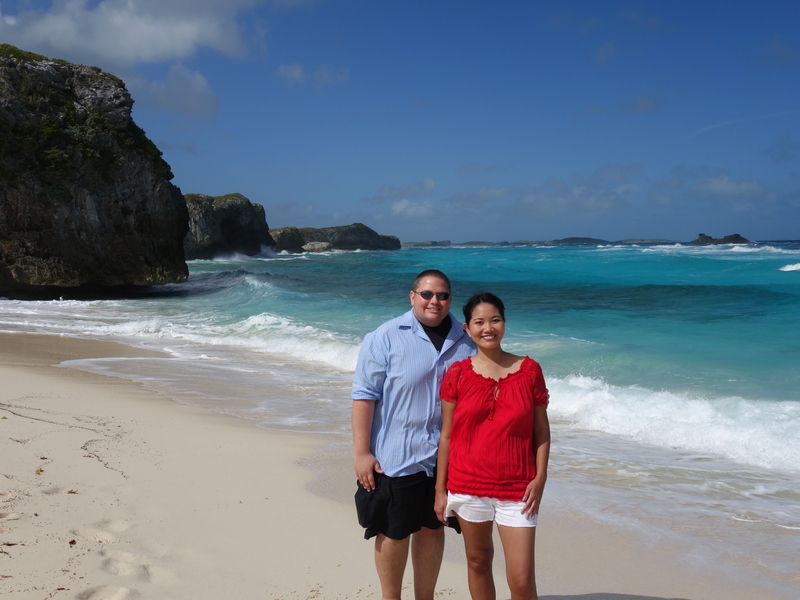 We felt so grateful to be able to spend one week on such gorgeous islands. Thanks for stopping by the blog! I think I have never heard of those island but I have to admit, it looks amazing! Thank you for sharing this, I learn all the time! So beautiful! The water is just stunning. The food looks so good too. Especially that surf and turf that Johnny made 🙂 Tell him to keep on cooking. Turks and Caicos is one of the few islands that I haven’t been too. The lobster meal looks mouthwatering. Thanks for sharing and linking up to #WeekendWanderlust this week.